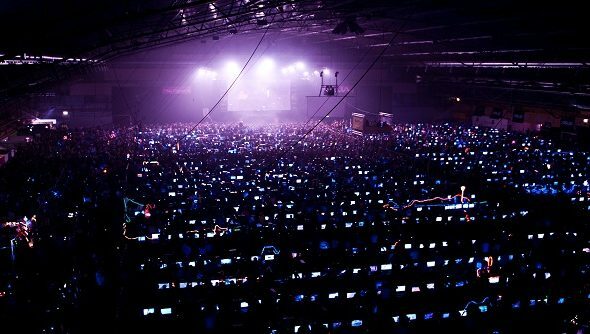 The November of eSports continues with DreamHack Winter in Jonkoping, Sweden this weekend. While just about every eSports game will have a presence at the massive LAN party / tournament, the big draw is the season-ending StarCraft 2 tournament, with a grand prize of around $37,000. You can follow every stream via Dreamhack.tv. The broadcasts start later today, with the first StarCraft 2matches beginning at 12 PM GMT / 7 AM Eastern. The tournament continues through Sunday, with the Grand Final beginning at 9 PM GMT / 5 PM Eastern. Dota 2’s schedule is here. CS:GO’s is here, and has the earliest start time of the day: 9 AM GMT / 5 AM Eastern. The Dota 2 tournament features big names like Absolute Legends, Evil Geniuses, Na’Vi, Mousesports, Team Empire, Fnatic, and Dignitas, all competing for a roughly $14,000 grand prize. The Counter-Strike event includes ESC Gaming, Fnatic, Mousesports, Ninjas in Pyjamas, Curse, and Dynamic, among others. They’re competing for a grand prize of around $22,000. The biggest prize of the weekend belongs to StarCraft 2. This is the final tournament of the DreamHack EIZO Open 2012 season, and some of the world’s biggest stars are competing. Group D alone boasts ThorZaIN, ForGG, Ret, HerO, and NaNiwa. As this excellent preview from TeamLiquid points out, however, that means an awful lot of fan favorites are crowded into one tough group where there is a good chance they’ll take each other out. We’ll be keeping tabs on the tournament, and doing more detailed coverage as group play ends and the final championship brackets are set.